Speedruns of classic games are commonplace on Twitch, with veteran players seeing them as an entertaining challenge as well as a way of popularising their favourite titles years or even decades after their original release. However, not all of these speedrun attempts go according to plan, and that's certainly the case with the GameCube RPG Baten Kaitos. To get 100 percent completion in the game you have to wait for certain items to evolve. In normal play with no pressure, this would happen in the background while you were enjoying the game, but for a speedrun - where time is of the essence - it's quite an issue, as Julien "Baffan" Jaffrès found out recently. To get every item in the game and therefore scoop the 100 percent complete accolade, Jaffrès had to leave the game idle for a while. One particular item, "Shampoo," takes approximately two weeks to turn into another item, "Splendid Hair." Jaffrès has already proven that he can complete the game in every other regard in around 80 hours, but another 260-odd hours are needed to obtain that final elusive item. Aware of this issue, Jaffrès decided to break up his attempt into chunks over the course of a few weeks, leaving the game running during the night in order to allow items like Shampoo to evolve. Unfortunately, the fact that the game was idle for large periods of time led to Jaffrès getting his Twitch account temporarily suspended due to posting what was confusingly deemed to be "non-gaming content" which resulted in a "terms of service violation." Thankfully it was only a 24 hour suspension, but it does beg the question - was Twitch right to perform this action given that it's impossible to 100 percent complete Baten Kaitos without leaving it idle for long periods? Share your thoughts on this rather unusual predicament by posting a comment below, and don't worry - we won't punish you for taking your sweet time. I mean really. That sounds like the wait time for something to upgrade in a Clash of Clans clone on mobile. Do we want to sink to that level? I think twitch was in the right. I mean, the stream used their bandwith for hours without something actually happening. With an item that takes so long to achieve, the game is no speedrun material. Either exclude the item out of speedruns or don't speedrun it. It defies the basic purpose of a speedrun! @DarthNocturnal When playing the game normally, it's not a problem. Although I'm not a big fan of this type of mechanics. "Random: Baten Kaitos Speedrun Attempt Leads To Temporary Twitch Account Ban"
Random indeed. It'll be fun to watch the poor soul attempting a 100% speedrun of Melee. That game was a nice change of pace when it released, I really enjoyed it. But there is no "running" in that game, it's a card battle game. How do you speed "run" a game consisting mostly of card battles? That's just stupid. The dumb downed second game, when they got rid of something, either your defensive turn or defensive items entirely, I forget, wasn't nearly as fun. This reminds me of that one guy who waited 12 to complete a SM64 level without jumping. I miss both this and "Baten Kaitos Origins". I was really hoping Namco would re-release both of them on Wii but it never happened. I wonder how many people missed out on those Monolith epics, before they made "Xenoblade Chronicles". @AlexSora89 The difference with Mewtwo is that you can leave the CPUs running, and then you have action on the screen. Best game on the Gamecube and a damned fine RPG in itself. Loved this game back in the day. I still have to play Origins tho. It's obvious that Baten Kaitos was not made with Twitch in mind. It likely was dinged because of not actually playing. I agree that it is silly to try to "speedrun" a game like that and also, silly to stream it. Why would anyone tune in to watch someone AFK? Unless there was live and interesting content (heck, even a sleep cam, as awkward as that sounds), I see no reason to stream it. Twitch had every right to remove it though I'd hope it's just a slap on he wrist as I imagine the streamer had good intentions nonetheless and kudos for trying something different. Couldn't he have done those idle parts off camera? With an update each time he restarted playing saying how much it was progressed towards the time goal? @ChessboardMan for speedruns to count for records they typically have to be all on-camera for verification. that said, this game doesn't make sense to do 100% runs because anyone can finish the other 99% with so much extra time waiting for that item. there's no paths or strats to change making that thing take way longer than it needs to. only wiggle room is how long it takes you to get that shampoo so it can start changing. Ugh, I hate those kind of game mechanics. @rjejr Honestly I would argue that the battle system in Origins is more complex and requires a lot more planning. Instead of each character having their own deck like in Eternal Wings, a single deck is shared among your 3 characters in origins. That means that you have to be smart and know what cards to throw away to plan for the next character attacking. You also have to manage the deck itself more carefully because you need a good balance of healing cards, spells, defensive cards, and attack cards. Not only that but the combat also has a much better pace to it. The defense turn added too much time to the battle, and I'm glad they took it out. Also the voice acting in Origins is actually bearable. Eh twitch can do what they want I guess its their website but this could hurt user confidence. Wait, did I get something wrong or Baten Kaitos should allow the same? Funny how he get a temp ban this time, and not all the other times that he's done 100% runs. This is just poor, pragmatic game design. They should ban the concept of being forced to wait hours to get something in a video game outright. Much less of a stopgap measure. Twitch is a privately owned entity and they can do as they please, as it states in their terms of services. You might also argue that streaming an idle game for a week and a half is a waste of everybody's time and resources. I'm on the fence about it... on the one hand, it wasn't really showing anything that viewers would want to watch, so was wasting stream resources... but on the other hand, when doing a speed run you do kind of need to show the whole thing to prove that you did it, even if it is just idling. Both sides could do things to alleviate the issues... the streamer could have simply recorded the idle time and uploaded it if he needed to prove how long it spent idling... and Twitch could add something like an idle mode that allows a stream to continue while idle, but using a minimal amount of resources. Ah yes the time lapse cards in BK caused me to curse like a sailor many a time. "I'll use this health item!...Rotten food...bleep bleepity bleep bleep!" And don't get me started on trying to get Mizuti's face. I guess some games weren't designed with speed runs in mind. I personally hope that Nintendo gets the copyright and trademark of Baten Kaitos from Bandai Namco. They're doing nothing with the property right now. @Joeynator3000 Hmmm... It says in the artical that you won't punish us for taking our time to comment. Yet my sincere, handtyped message, which took great temporal dedication akin to this speed run, had the majority of it butchered out. @amiiboacid What you did was basically spam, and I'm being serious. You're asking for trouble. @Joeynator3000 I'm sorry. You're just doing your job and I just wanted a little fun. Forgive me. @AlexSora89 Pretty sure that the items being on would count for on screen movement. I remember my healing cards turning into attack cards and leaving my GameCube on to turn an attack card into a healing card. So twitch allows "social eating" streams, but bans someone doing a speedrun for non-gaming content? Got it. @Shiryu I missed out on them. my first Monolith game was Xenoblade Chronicles on Wii then I learned about Xenogears and Xenosaga before I got Xenoblade Chronicles X on my Wii U. @leo13 You're in for a treat. @DarthNocturnal Baton Kaitoes Is So Gorgeous and amazing to play you wouldn't notice that function if you weren't rushing. Mechanics like that are silly to an extent ,but they also prompt you explore more take your time and actually enjoy all there is. Tales of symphonia, fire emblem, skies of arcadia, Zelda master edition, eternal requiem ,so many! GameCube is under rated, it was amazing! @rjejr I agree, I loved the first but the second lost something for me. I thought it was cool that the items evolved while you played the game. Really brought something new to then a tired genre.....wait, did I say I agree? @Spoony_Tech "wait, did I say I agree?" Yeah, you better check that, somebody might have hacked your account. Indeed it did. If I recall correctly, I took the alternate approach: the "level 9 suiciding Ness" one. Which, for a change, is not the title of a creepypasta. Most people probably missed out. I didn't play them until after Xenoblade Chronicles (found out what other games the devs made after likeing Gears, Saga, and Blade) and had to pay a bit extra for origins, which I could see deterring even more people. Here's hoping they show up on the Switcth VC and get another chance at fame. Besides some unfortunate anime cliches these games are fantastic. 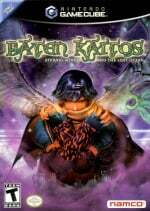 @R_Champ Adding insult to injury, "Baten Kaitos Origins" never received an official release in Europe. I had to pay for an American import back in 2015 for it, but it was well worth it. Most importantly, we need a new Baten Kaitos game on the Switch. The original was excellent and easily my favorite Monolith game after the first Xenoblade Chronicles. XCX isn't even close to either. @Solid_Stannis Then games like Animal Crossing wouldn't exist. @SaKo I can't recall doing that any kind of waiting like that, but then I've only played New Leaf and I never bothered to get all the items or whatever. And at least it wouldn't be tied into "completion" in quite the same way. I guess it should be viewed on a per-game basis, but I still think these levels of time required are beyond the pale in a general sense. At what point does patience become signs of masochistic inclination? 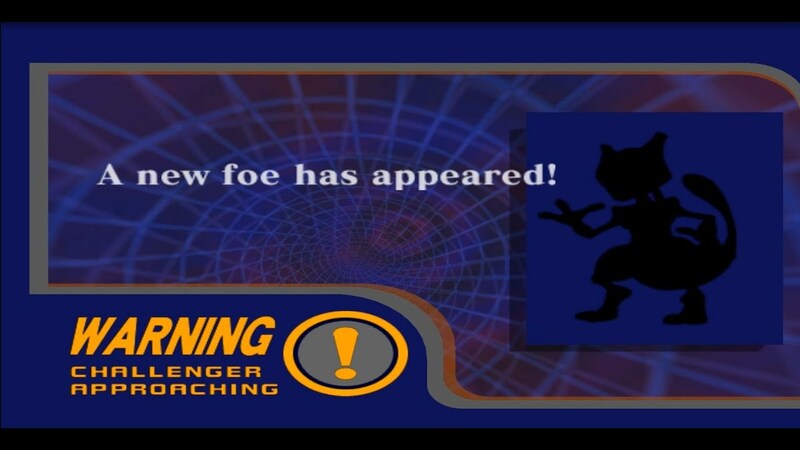 @AlexSora89 Mewtwo can be unlocked after 5 hours of 4 Player Melee. With the controllers in and not playing, by keeping the items on and falling, with the timer set to 99 stocks, and items on, the 5 hour mark will be hit, and Mewtwo will appear. The items guarantee that the person won't be kicked because of the activity on the screen. I also knew about that method... mine was mostly a joke!